Peacock Associates is Scotland’s first fully-funded Curatorial Fellowship for visual arts. 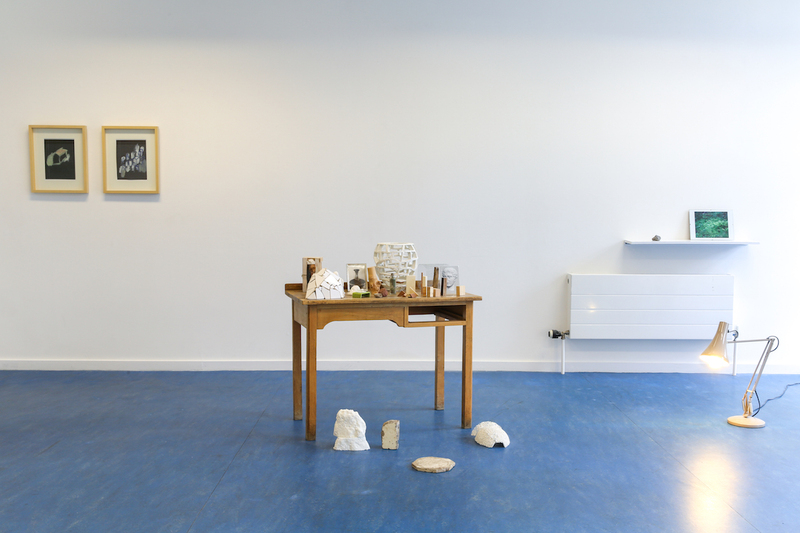 Naoko Mabon was commissioned by LUX Scotland to write a piece reflecting on On Sharing, Separations, an evening event between artist Tako Taal and curator Seán Elder. The event was held last November at W OR M of Peacock Visual Arts in Aberdeen, as part of LUX Scotland’s pilot programme of events in Aberdeen, supported by Aberdeen City Council’s Creative Funding Programme. Thank you LUX Scotland, Tako and Sean for this wonderful opportunity. To read Naoko’s piece please click here. WAGON is delighted to announce The Rock Cycle (Yamaguchi), a new cross-disciplinary international project with Glasgow-based artist Ilana Halperin between Yamaguchi/Japan and Scotland/UK. 8h is a new, small, slow and domestic project involving three independent art practitioners and three locations with 8h time difference between. The one week site-visit in Aberdeen by Manami Sato from Shimizusawa Project in Yubari in Hokkaido has been successfully finished (13th-19th November 2018). To form their town and community, Shimizusawa Project hosts a number of community based activities highlighting Yubari’s coal mine heritage. WAGON in partnership with Peacock Visual Arts is thrilled to present an evening of presentation and conversation with Manami Sato from Shimizusawa Project in Yubari, Japan and Dr Leslie Mabon from Robert Gordon University in Aberdeen. Thanks to the generous support and advice from the Sculptor Yutaka Toyota and Osamu Matsuo of Bunkyo, we just delivered work by Takanori Suga A Blank Sign “Dripping Project in São Paulo” to the Sports Center Kokushikan Daigaku in São Roque of São Paulo. Thank you so much to all the people who gave us warm support and advice towards the production, storage – and future re-installing. We very much look forward to seeing this piece in the near future. – The Japan Foundation, São Paulo. Installation view of the exhibition ‘Kyojitsu-Hiniku: Between the Skin and the Flesh of Japan’ at Pavilhão Japonês, Ibirapuera Park in São Paulo. Installation shot: Fernando Lima. WAGON is thrilled to announce its new project Kyojitsu-Hiniku: Between the Skin and the Flesh of Japan, a contemporary art exhibition dedicated to 110 Years of Japanese Immigration in Brazil. 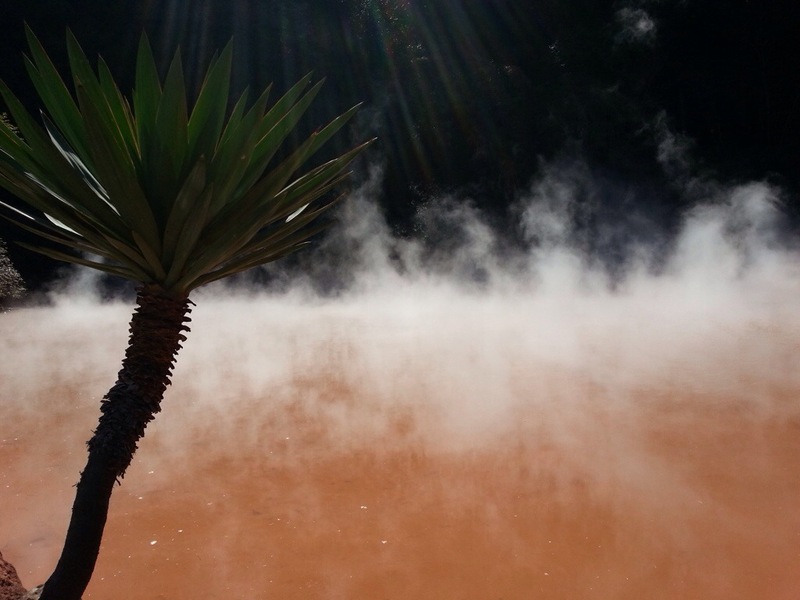 The exhibition features works by Juliana Kase, Takanori Suga, Detanico Lain, Satoshi Hashimoto and Hikaru Fujii at the Pavilhão Japonês in the Ibirapuera Park in São Paulo, Brazil. Supported by Shibuya Foundation for Science, Culture and Sports; Hope Scott Trust; The Daiwa Anglo-Japanese Foundation; and THE ASAHI SHIMBUN FOUNDATION. Aberdeen-based Japanese independent curator Naoko Mabon will share findings and experience from her recent trip to Japan. This includes a new development of artist exchange projects in Aberdeen between Yubari-city and Nagasaki-city in Japan. This event is primarily for Peacock Visual Arts’ Associate members but the door is open for anyone who is interested in the topic. Naoko Mabon made two site-visits to Nagasaki-city and Yubari-city in Japan. The overall aim for these visits is to forge a concrete plan of a new exchange between Japan and Aberdeen of Scotland. NY-born Glasgow-based artist Ilana Halperin has conducted a two week field research residency as part of the 2018 Residence Fellowship Program of Akiyoshidai International Art Village from 16 May – 29 May 2018. To celebrate the 20th anniversary of YICA (Yamaguchi Institute of Contemporary Arts), Alan Johnston gave a lecture on his artistic journey from a viewpoint of his 30 year relationship with Yamaguchi. It was held on 19th May 2018 at Saiko-tei, a cultural museum with a beautiful garden which used be a high-end Japanese restaurant. Naoko Mabon was involved as an interpreter. WAGON is delighted to announce In Praise of Shadows, the first two-person exhibition between Atsuo Hukuda (b.1958, Hokkaido) and Alan Johnston (b.1945, Edinburgh) in Kanazawa, Ishikawa Prefecture, Japan. Hosted by Suisei-Art, a project space based in a historical Kanazawa Machiya building. Curated by Naoko Mabon. Please join us for an afternoon of conversation and an outdoor workshop led by Evandro Nicolau, Brazilian artist/researcher/teacher who is visiting Scotland to conduct a two week research residency at Art, Space + Nature (ASN), Edinburgh College of Art, The University of Edinburgh. Supported by Aberdeen City Council and Robert Gordon University. Presented by Peacock Visual Arts as part of W OR M / OPEN programme. WAGON is delighted to announce Jack Davidson: Show and Tell, a showcase of work by Jack Davidson (b.1958, Aberdeen). Curated by Naoko Mabon. Presented by Peacock Visual Arts as part of W OR M / OPEN programme. Naoko Mabon has been selected, alongside other seven Scottish-based curators, for the Curators’ Visit to Japan. Led by British Council Scotland and Creative Scotland, this scoping trip has an aim to develop long-term and even more vibrant partnerships between Scotland and Japan into the future. Naoko Mabon will conduct a one-month research residency at Überbau_house in São Paulo from 31st August to 28th September 2017. 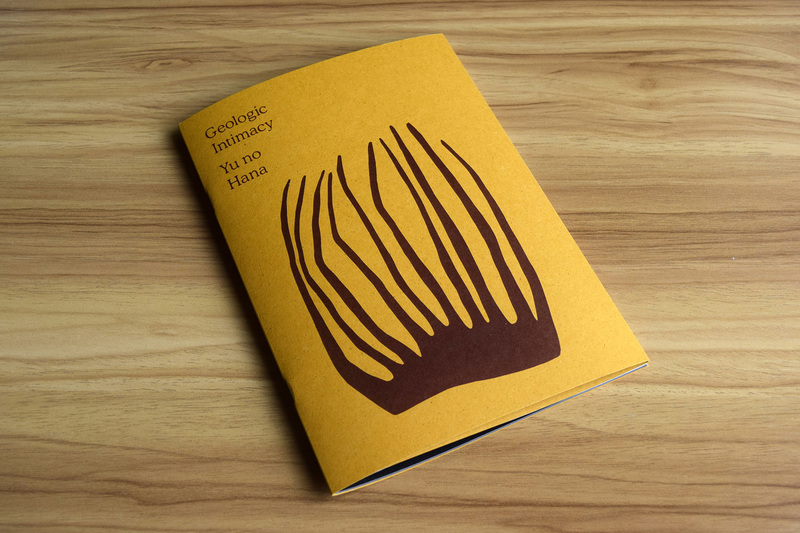 We are happy to announce that copies of Ilana Halperin’s ‘Geologic Intimacy (Yu no Hana)’ are now stocked at The Fruitmarket Gallery Bookshop in Edinburgh and Aye-Aye Books in CCA, Glasgow. A writing piece Leaves Without Routes: 根も葉も無い by Naoko Mabon is included in the latest issue of Cha, the first Hong Kong-based English online literary journal founded in 2007 as part of a programme at Hong Kong Baptist University. Our warmest thanks go to: everyone at Cha, Tammy Ho, Prof Kyoko Yoshida, Yasunori Kawamatsu, Yuki Okumura, Kaori Yamashita, Nobuyuki Yamamoto, I-Chern Lai, Yu Hua Chen, Keting Kurt Chen, Wei-hsiu Wu, Taipei Botanical Garden, Taiwan Forestry Research Institute, Japan–Taiwan Exchange Association, Prof Kenji Horigome, MISAKO & ROSEN, Dr Leslie Mabon, among others. Click here to view the text by Naoko. For more on the exhibition Leaves Without Routes: 根も葉も無い, please click here. Artist’s Talk in conversation with Professor Tim Ingold from the Anthropology Department of the University of Aberdeen and Peacock Visual Arts’ Director Nuno Sacramento. To read a feature in Creative Scotland website, please click here. To read a feature in The James Hutton Institute website, please click here. To view more on the project, please click here. Courtesy of the artist, Patricia Fleming Projects and WAGON. Photography: Sachiyo Ando. Scottish exhibition and event for ‘Ilana Halperin: Geologic Intimacy (Yu no Hana)’ will be held at Peacock Visual Arts in Aberdeen. WAGON is delighted to announce Leaves Without Routes: 根も葉も無い, an art exhibition featuring work by four Japanese contemporary artists – Yasunori Kawamatsu, Yuki Okumura, Nobuyuki Yamamoto and Kaori Yamashita – at Nan-Men Ting 323 (南門町三二三), a Japanese style house originally built in 1930s during the Japanese colonial period within Taipei Botanical Garden in Taiwan. WAGON is delighted to announce the group exhibition Mediated Existence, which features work by Joseph Calleja, I-Chern Lai and Katie Paterson at sleeper gallery in Edinburgh, Scotland. The resulting exhibition of Ilana Halperin: Geologic Intimacy (Yu no Hana), which launched last Autumn, will be held in Kannawa, Beppu. Meet the artist Ilana Halperin and newly formed her geothermal sculptures. The sixth and the final on-site photo report by BEPPU PROJECT is now up. To view the photo report #6, please click here. WAGON is delighted to announce the exhibition Atsuo Hukuda + Shuhei Fukuda: RYUHA = Inheritance of School of Art and Inheritance of Style of Art, which will be held at sleeper in Edinburgh. WAGON is delighted to announce Bushiro Mohri: ‘Message from Mr. A, No 4’ – Work and Document. This exhibition will be held at AIS GALLERY in Gunma, Japan as part of CONCEPT SPACE The 35th Anniversary Programme No.2・AIS GALLERY 2016 Project No.17・【Born in 1982 – 1】. Naoko Mabon is invited to SSW Public Talk, a series of open talks to accompany SSW’s Summer AiR programme. 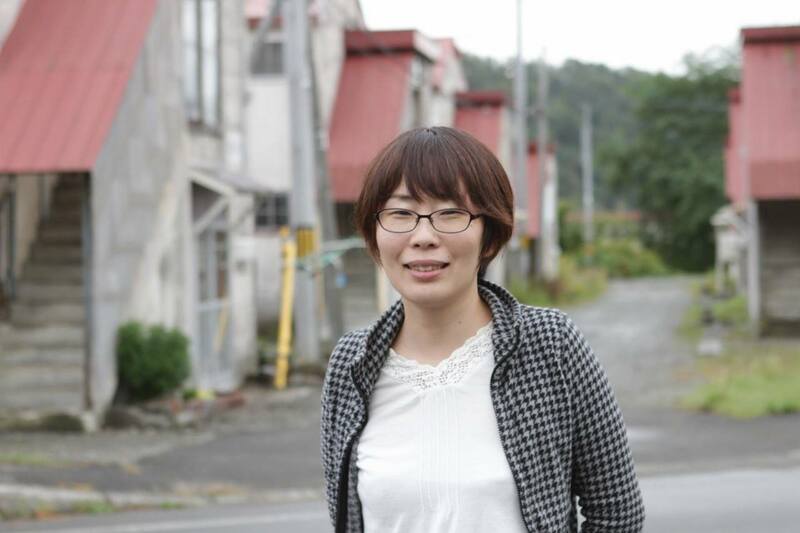 In this Naoko will share her curatorial practice with the wider community. For more details on the exhibition please click here. The fifth on-site photo report by BEPPU PROJECT is now up. To view the photo report #5, please click here. WAGON is delighted to announce the exhibition Atsuo Hukuda: SUKI-MONO: Ways Since Rin-pa – Duff House, which marks the first major solo exhibition of Japanese conceptual sculptor Atsuo Hukuda held in Northern Scotland. Naoko Mabon is invited to talk in Artists’ Talk as part of the exhibition あ い ま い な : am big you us held in Dundee. This multi-layered, cross-cultural exhibition will combines solo displays by three Japanese artists – 1984/48 by Yasunori Kawamatsu, tempera | ambiguous | painting by Nobuyuki Yamamoto, and a showcase by a Jewellery Designer/Maker Sayoko Kobayashi. Naoko Mabon is invited to give a talk at Sanki Bunko. She will share her view towards curatorial practices based on her recent, on-going and upcoming international projects. Sanki Bunko is a private library of more than 20,000 books collected by an art critic/historian Prof Hitoshi Mori. 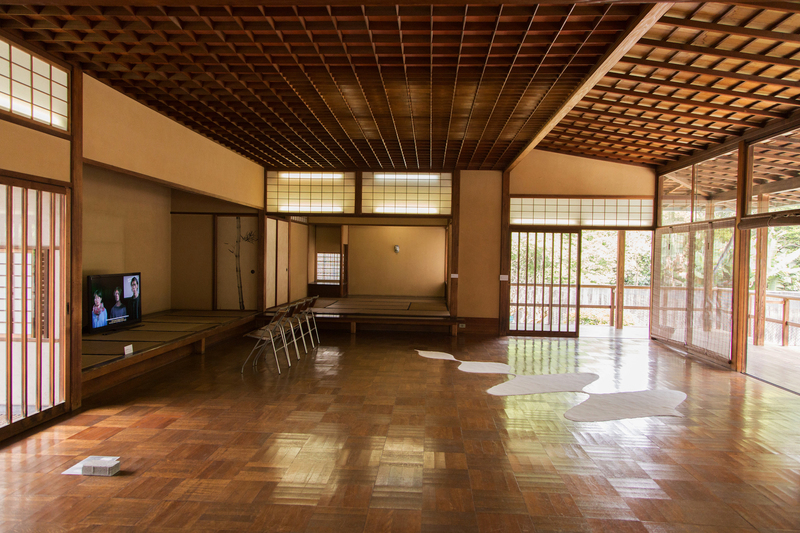 In this beautiful Taisho era Kanazawa Machiya building situated by the Asano River in Kanazawa, artist Akane Nakamori (Suisei-Art) together with Prof Mori is curating a number of international art/cultural programmes. To view the photo report #4, please click here. The third on-site photo report by BEPPU PROJECT is now up. To view the photo report #3, please click here. Naoko Mabon is invited to give a lecture at Guests @ Gray’s, a regular lecture series from invited professionals in art, design and culture at Gray’s School of Art, Aberdeen. Naoko will share her view and approach to work as an independent curator in Aberdeen, a city to which she is foreign, based on her experience and perspective through her recent, on-going and upcoming curatorial practices in the city, region, nation or beyond. Naoko Mabon has been invited to contribute to Roger Ackling: Between the Lines, the first comprehensive overview of the work and teaching of the late British artist Roger Ackling (1947–2014). Edited by Emma Kalkhoven, published by Occasional Papers. To view the photo report #2, please click here. To view the photo report #1, please click here. Two solo exhibitions by one of the most celebrated Japanese artists Tatsuo Kawaguchi will be held at Sankibunko in Kanazawa and Coelacanth – Bushiro Mohri Memorial Museum in Toyama in Japan at the same time from 23 Oct – 16 Nov 2015. To coincide with the showcases, a new Japanese-English bilingual exhibition catalogue will be published – for which Naoko Mabon is a part of the production team as a translator. We are delighted to announce that, together with one of the most acclaimed Scotland-based contemporary artists Ilana Halperin, we have officially launched Geologic Intimacy (Yu no Hana), a new art-science project between Japanese island Kyushu and Scotland. To view a year-long silent conversation online, please click here. To view images of the related open discussion event, please click here.